Esri has implemented major changes to ArcGIS for Developers, providing an enhanced mapping experience that the company says is more accessible and affordable. These changes include a new pay-as-you-go plan for all of Esri’s location-based services, a decrease in the price of routing transactions and a new commercial app deployment experience for developers, the company said. This new experience brings the power of mapping to all developers and provides greater simplicity and flexibility. Esri has introduced a new monthly payment structure for the Builder plan in its developer subscription. The Builder plan is now offered at a monthly subscription rate of $125. Esri has also introduced a 10 percent discount on existing annual Builder plan subscriptions. Customers who currently have an annual Builder plan subscription can continue to pay annually or switch to paying monthly. Esri has additionally included a commercial app deployment license in all paid developer subscription plans (Builder plan and higher) at no additional cost. The price of routing services has also been reduced from $4 to $0.50 per 1,000 routes. This price decrease is applicable to all ArcGIS users, including the developer community. ArcGIS for Developers offers a full suite of developer tools and development resources to build mapping and analytics solutions to support business needs. 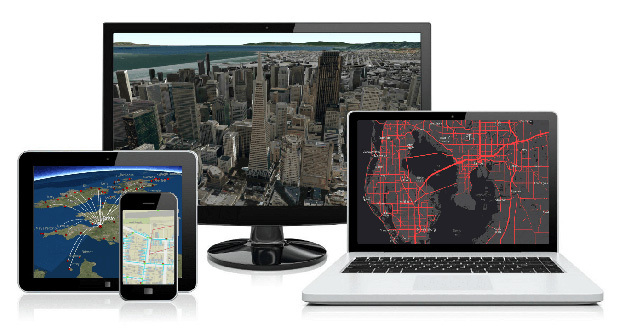 Developers use ArcGIS APIs to create location-based web and native applications for desktop and mobile devices. The new enhancements and changes now give developers greater freedom to build, manage, and deploy apps as quickly as possible by allowing them to use the specific tools they need, when they need them, priced to fit their individual needs.